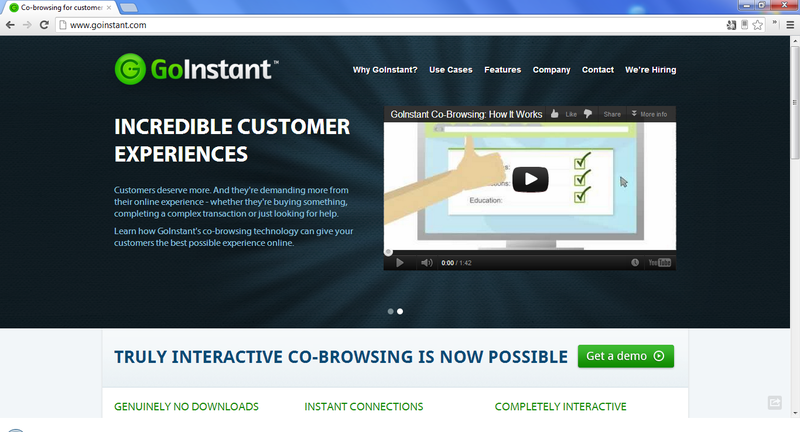 GoInstant is a co-browsing application that allows two or more people to browse the web together in a completely interactive session. There are no downloads or plugins required. Co-browse software is ideal for providing customers with a great experience on your website, particularly for e-commerce and complex online transactions. Follow them on Twitter.